With much anticipation and a shot of dread, it’s time for some families of high school juniors and seniors to enter the college sweepstakes. Once a kid is knee-deep into her junior year of high school, the mostly self-imposed requirements to apply to colleges come fast and furious: SATs, SAT tutoring, subject test tutoring. AP classes, exams – midterms and finals. Everything is magnified in search of the Holy Grail at the end of sending out college applications—acceptance to a school you actually want to attend or bragging rights to the kinds of schools that accepted you. Applying to college in rarefied circles—solid to upper middle class—is a virtual blood sport. The grueling psychological competition is explicitly and humorously laid out in a book I really liked called Crazy U: One Dad’s Crash Course in Getting His Kid into College. The author, Andrew Ferguson, is a self-deprecating realist who manages to poke fun at, as well as take seriously, the business of shepherding your child to the threshold of his college dorm. The rest of us well-meaning parents will shell out thousands of dollars for at least one of the following: SAT tutoring, regular subject tutoring, college coaching and application preparation. Here’s how it works at one extreme: An application boot camp can cost $14,000 for four days of marathon essay writing and interviewing strategies. If you’re willing to empty out your 401K you can hire a private counseling service. The Cadillac of private college coaching can run up to $40,000. SAT tutors in the Boston area can charge up to $200.00 an hour to prep a kid for “the test.” I’m glad I don’t live in the New York metropolitan area. SAT tutors in the Big Apple charge up to $425.00 an hour. In a New York Times article reporting on the fierce competition for perfect grades in high school, an anonymous parent at a tony private school in New York admitted to paying up to six figures in a given year for extra help in regular school subjects. That doesn’t count the steep tuition she already pays. I think my husband may be sitting on a pot of gold. Over the years he has saved us a bundle by tutoring our children in everything from calculus to biology. Ferguson is at his wryest when he talks about the kitchen people—the folks who gather in the kitchen at a party to share war stories about their kids applying to college. In these clandestine conversations a parent would rather reveal the annual family income than her child’s SAT scores or GPA. Speaking of SATs—this is a test originally administered after the First World War to veterans with college aspirations. Somewhere along the line the SATs garnered the power to make or break a college career. 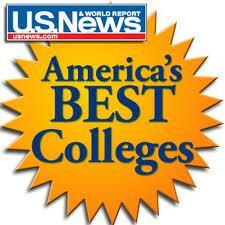 I could go on about the U.S. News and World Report college rankings. This is the list that admissions offices love to vilify yet secretly pray for a top 20 spot. There’s the college essay, which demands an epiphany so wise, so rare, that most 17-year olds simply don’t have the emotional maturity to have earned it. In the spring of junior year, usually with a guidance counselor and with grudging parental input, a student creates “the list” of schools to which she might apply. The list is usually a mix of colleges for which a kid is a leading candidate and schools that are designated as “a stretch.” As a parent you may look at up the admission statistics for your alma mater and shake your head in wonder at how you ever got into college. At the core of every college application, job interview or personal relationship is the fear of vulnerability. Yet it’s vulnerability that gives us courage and compassion. Vulnerability begets connection; it keeps us honest. Vulnerability is important to show whether it be in the college essay or the alumni interview. Be human. You are multi-dimensional. And yes, you are not a test score. I can remember Anna telling me that she didn’t need a campus full of valedictorians to feel academically fulfilled. During the process she was also also wise enough to demonstrate to her mother that lists, whether it the US News & World Report or the college lists she generated–should be used sparingly and mostly for things like groceries. This entry was posted in College, education, Parenting by judy bolton-fasman. Bookmark the permalink.